Light weight, durable and stainless. 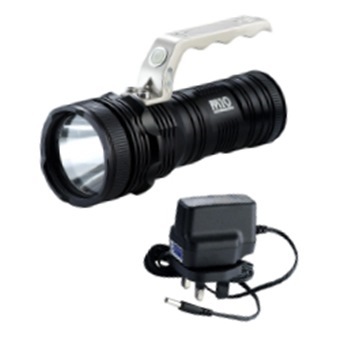 IPX-4 10-watt XML from CREE (USA) with high power to achieve super bright light. Operates with 3 Li-On rechargeable battery (included). Comes with 3-pin charger Safety mark: 141054 - 12.